A solitary daffodil sprouts forth amongst the rough ground at the pit. Spring was truly upon us this weekend, as the Friends opened up the site. Paul, John and Chris joined Site Manager Glen for a busy Open Day, and a special one to be sure. It was another busy day on site for the Friends of Hemingfield Colliery. Regular volunteers Paul and Chris opened up, Joined by John and returning Peak District regular John B. and Site Manager Glen later in the day. Not-entirely-bright blue skies welcomed the Friends back to site in March. A little before the Ides, perhaps, but nonetheless another good day to crack on with work on site. Wow, we could really get used to this! Yet another unseasonably beautiful day welcomed the Friends back on site as the regular volunteers continued work on the retaining wall around the back of the site overlooking the railway line. Pausing to admire the views as the crew arrived during the morning, we felt more in danger of sunburns than winter chills, with long shadows casting headgear silhouettes out over the Elsecar Heritage Railway line below. Digging inThis weekend’s open day saw site Manager Glen and regular volunteers John, Paul and Chris, later joined by Andy working on the retaining wall again, but this time focussing on the top side. 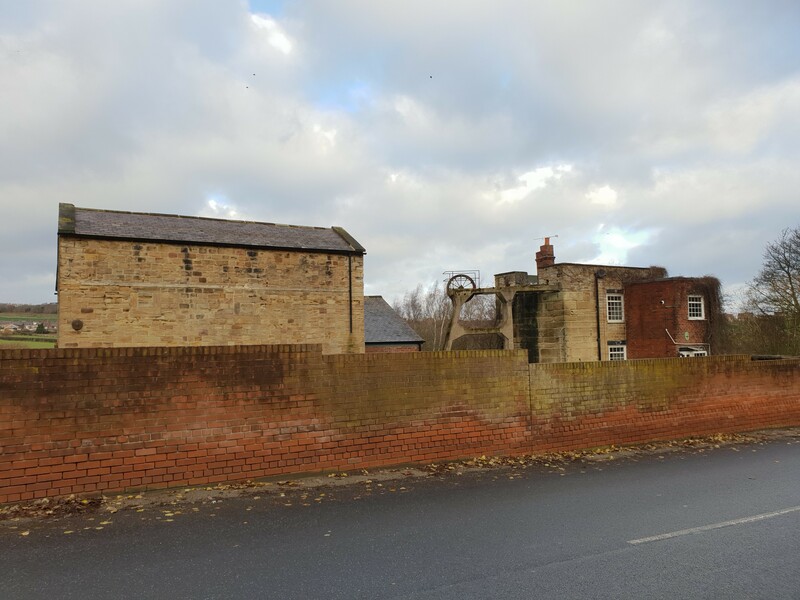 In order to secure the long term stability of parts of the retaining wall which have given way, it has been necessary to dig down behind the brickwork at the top to find the level of the stonework, in order to reduce the danger of masonry falling and also to ease pressure on the lower walling. There was also more work at the base of the wall. 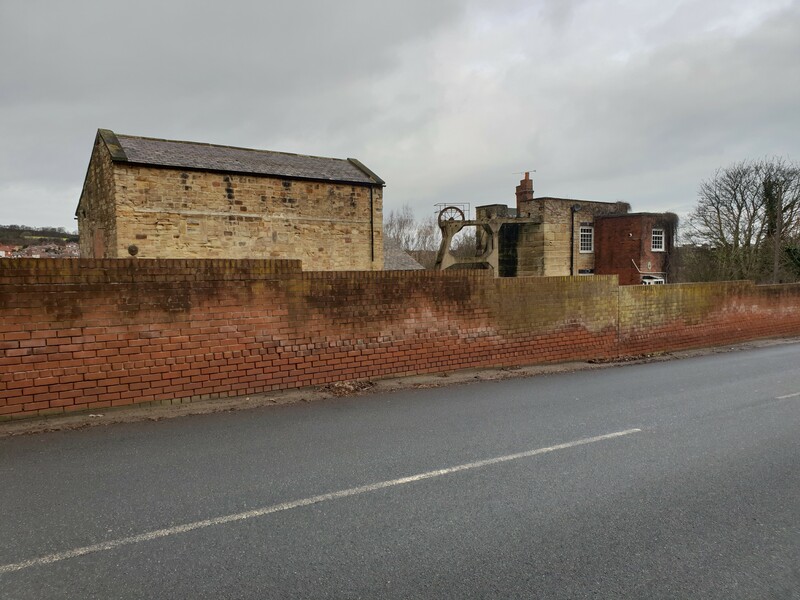 On the last Open Day the group had removed fallen stone and dug out a depth of mud from the bottom of the wall and, in so doing, allowed water to drain from the wall. Allowing the water to drain out of the week may help to prevent further collapse.Flying highDowning tools for the day, the group paused by the headgear as a kestrel hovered into view over the valley between Hemingfield and Elsecar. This magnificent bird of prey, so closely linked in popular culture to this area, to Barry Hines’ Kes, celebrating 50 years since it was first published. As part of the Great Place Wentworth and Elsecar “Futurist” cinema events (named after a former local cinema), there is to be a special screening of the film adaptation hosted at Milton Hall on Tuesday 12th March. February by name was not February by nature this weekend as bright sun and blue skies, with the odd cloud, welcomed the Friends and regular volunteers on site for another Open Day down at the pit. 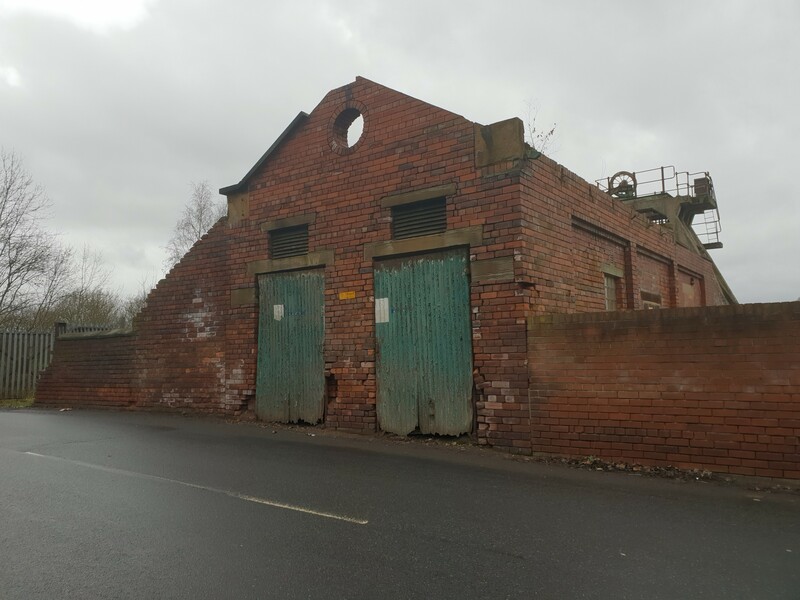 A hundred years ago today, 31st December 1918, two agreements were signed which effectively saved important parts of our mining heritage in South Yorkshire, and specifically what is now the site of Hemingfield Colliery. 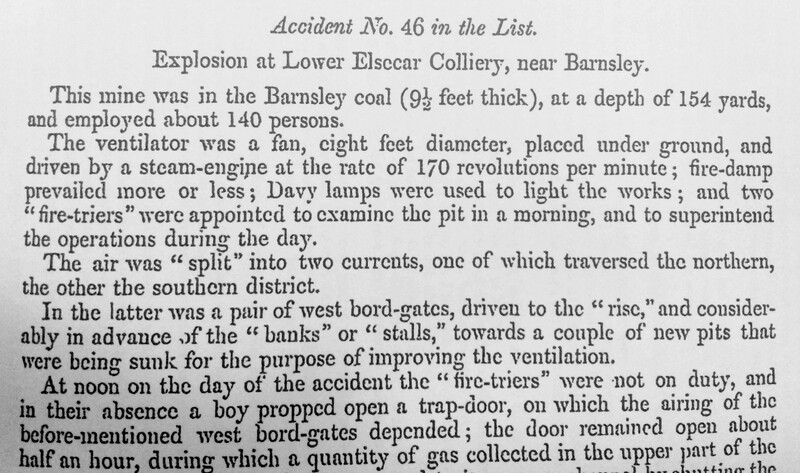 At 1.30 pm on 22nd December 1852 an explosion underground at Hemingfield Colliery (also known as Low Elsecar Colliery) claimed 10 lives and injured a further 12 miners. The Friends and volunteers arrived on site for the final time in 2018, with Friends Chair Steve, Site Manager Glen, and regular volunteers Paul, John and Chris, and returning expert John, coming together to open the colliery and reflect on the year’s progress, as well as start planning for the coming year – 2019 – will be 5 years since the Friends of Hemingfield Colliery first took possession of the site and started the slow, but steady work of undoing years of neglect, vandalism and theft on this jewel of a Victorian colliery site.